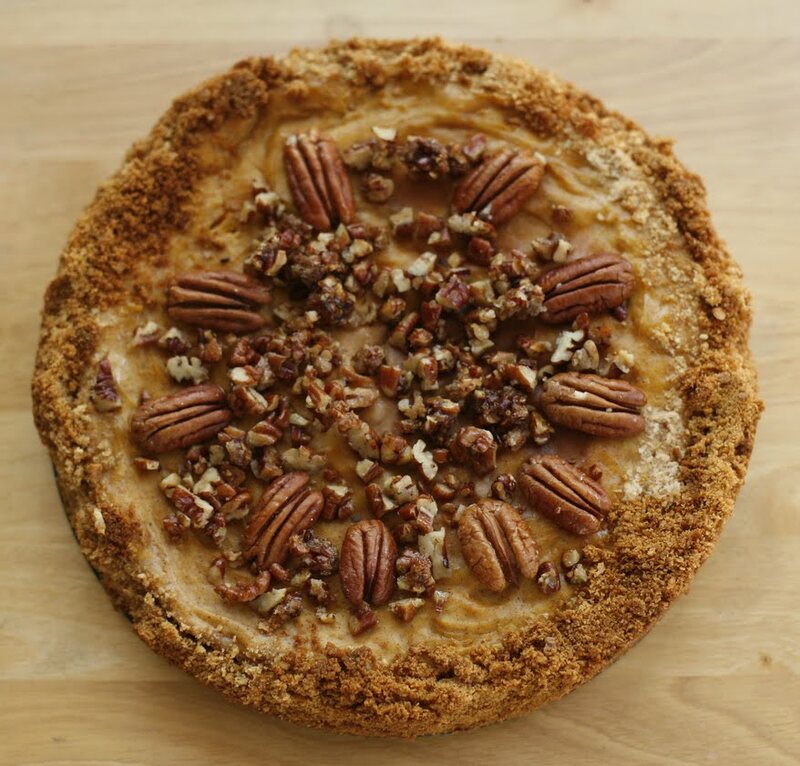 I've always loved pumpkin and now that its the right time of year, I've been baking a lot of pumpkin desserts. 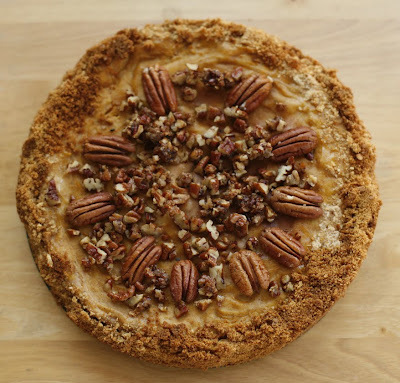 I saw this recipe for pumpkin cheesecake from a Williams Sonoma cookbook and figured it was pretty simple to transform the originally recipe to vegan. I baked mine for 40 minutes, which left the top hard but still jiggly. When I inserted a knife, it did not come out clean. I didn't know what to do because the top was already beginning to burn, so I figured I should allow it to cool in the refrigerator and see what happens. I let it cool for a little over and hour and then went back to check on it. The filling did harden and it wasn't as watery as it was straight from the oven. This was my first time baking a cheesecake and I don't know if it was the Tofutti brand cream cheese or if something was missing but the cheesecake had a slight sour taste. Nothing drastic, just a hint of sour. I know it won't taste exactly like how I remember dairy cheesecakes to taste but I think next time I might add only 1 package of Tofutti and replace the other with a medium firm tofu. ( Update : After allowing it to sit in the refrigerator a few more hours, the sourness I originally tasted went away..phew! ) But either way, this was really fun to make and I did learn a couple things in the process. 1. Preheat the oven to 350. Lightly butter a 9 inch springform pan. 2. To make the crust - In medium bowl, combine crumbs and sugar. Add melted butter. 3. Press down flat into a 9-inch springform pan. Refrigerate for 20 minutes. 4. 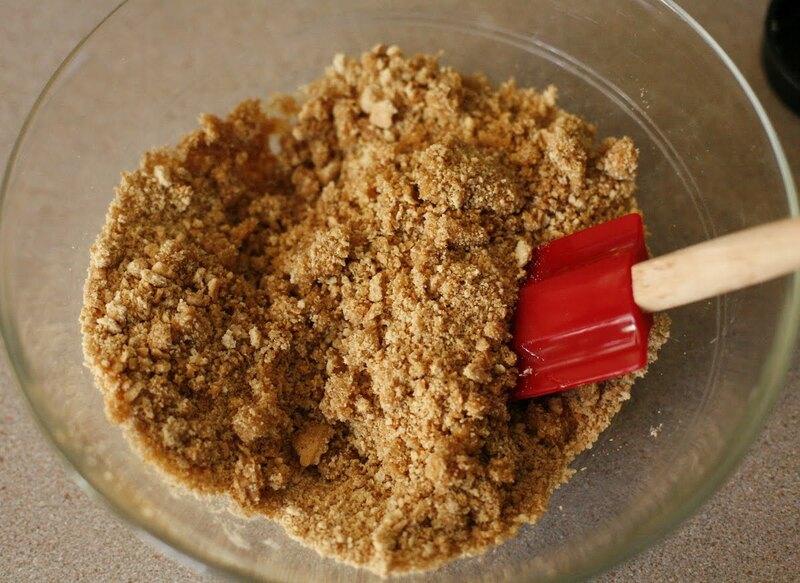 To make the filling - In a small bowl, stir together the brown sugar, cinnamon, allspice, ginger and cloves. 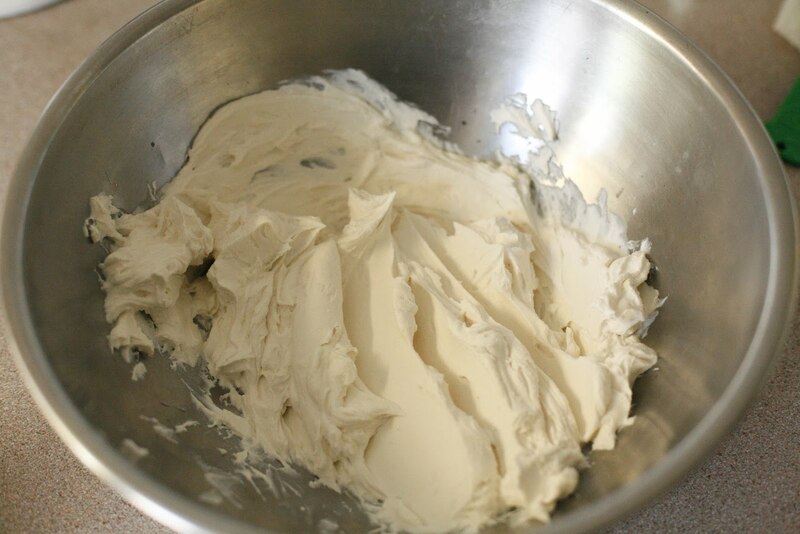 In a large bowl, beat the cream cheese with an electric mixer on medium speed until smooth and creamy. 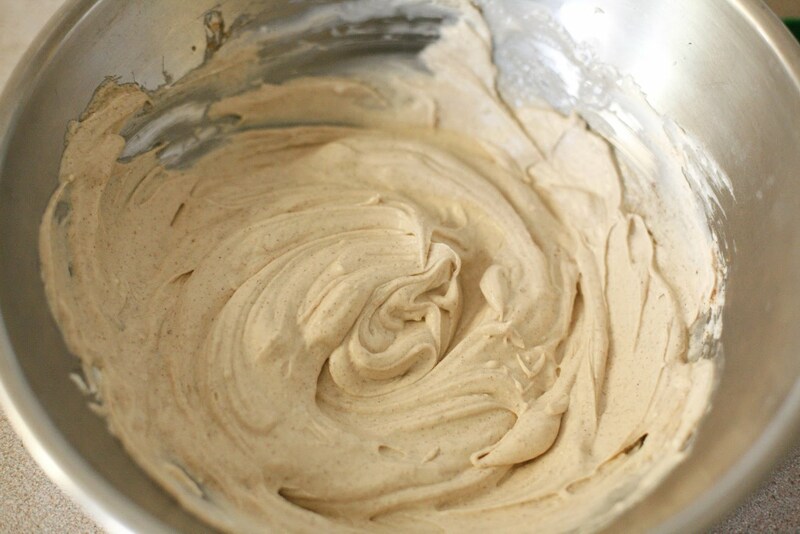 Using a rubber spatula, occasionally scrape down the sides of the bowl. 5. Gradually add the brown sugar mixture, beating until smooth. 6. Add the pumpkin puree, beating until smooth. Using the rubber spatula, scrape the batter into the chilled crust and smooth on top. 7. 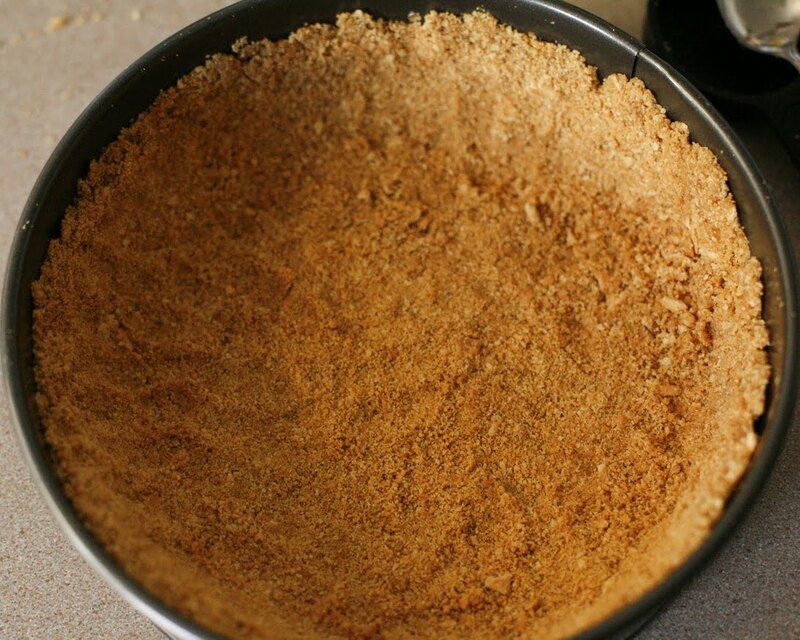 Bake the cheesecake until set or until a knife inserted into the center comes out clean, 35 to 40 minutes. Let cool completely on a wire rack. Cover and refrigerate until ready to serve. 8. 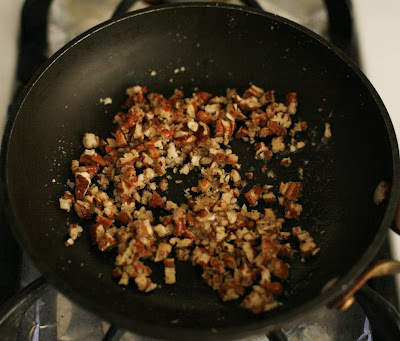 To make the toppings, set aside 10 pecan halves and coarsely chop the rest. In a small frying pan over medium-high heat, melt the butter. 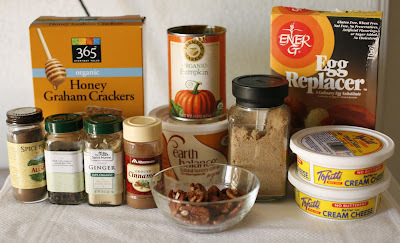 Add all the pecans, sprinkle with the granulated sugar, and cook, stirring, until the sugar melts and the nuts are toasted and caramel coated. 9. 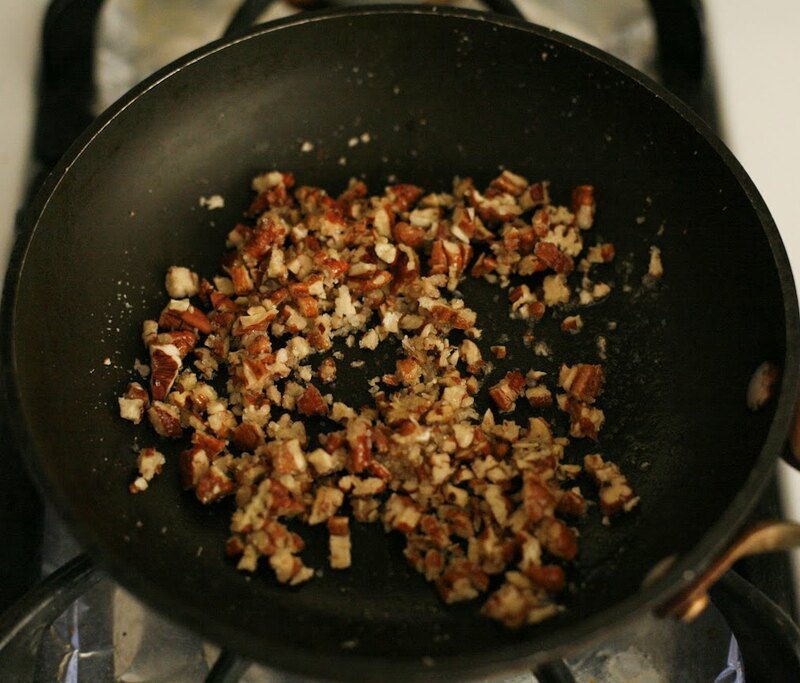 Transfer the nut mixture to a plate and let cool completely. Store in an airtight container. Just before serving, sprinkle the chopped pecans over the cheesecake and arrange the halves evenly around the cheesecake. The weather has been cooling down and Taffy has found his way back to his little bed. Took these shots this morning of him and his matching bed. What a gorgeous dessert. Not sure what would make a little sour taste, but if it tastes anywhere near as good as it looks, must be delicious. 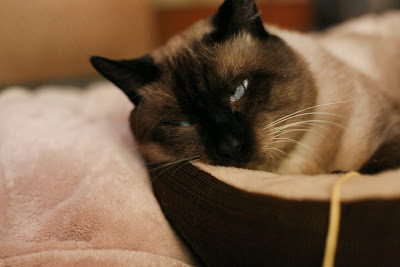 LOL Taffy looks so dreamy, :-)) he definitely enjoys his life in his cozy bed. Pumpkin cheesecake looks great to me! Ooh, that's a nice looking cheese cake, Jacklyn. And your photos are stellar-that second one is so artistic and beautiful. 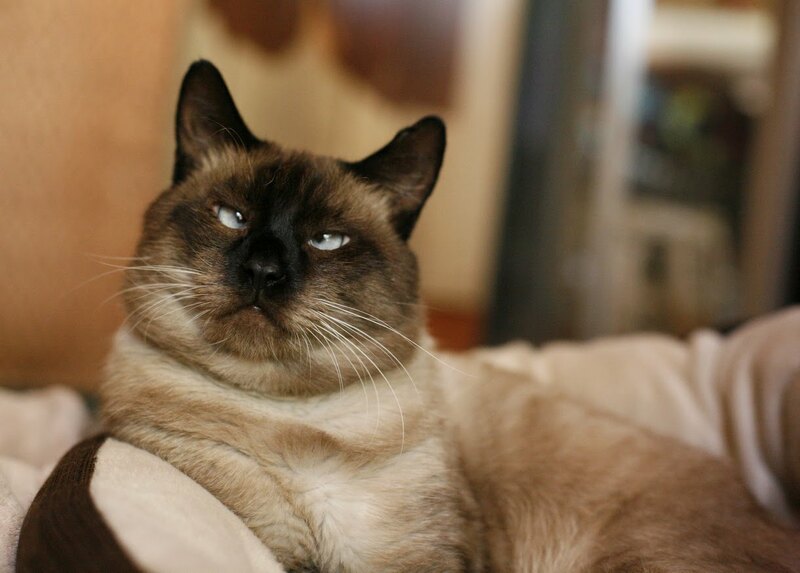 Oh, and your cat is so funny. 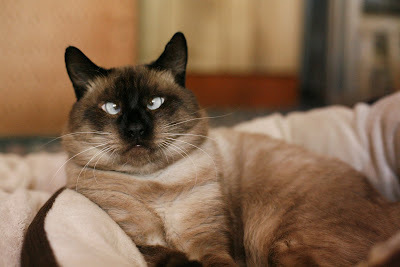 I love him/her?! This is a beautiful, beautiful thing. I like the chance to work with pumpkin and not have it loaded down with dairy. 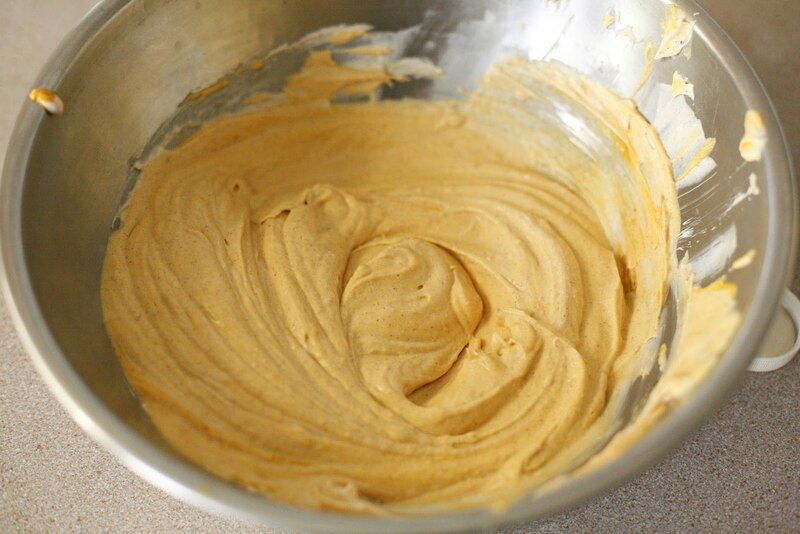 I've never made a pumpkin-y dessert, maybe this should be my first! Omg your cat is adorable!!!!!!! 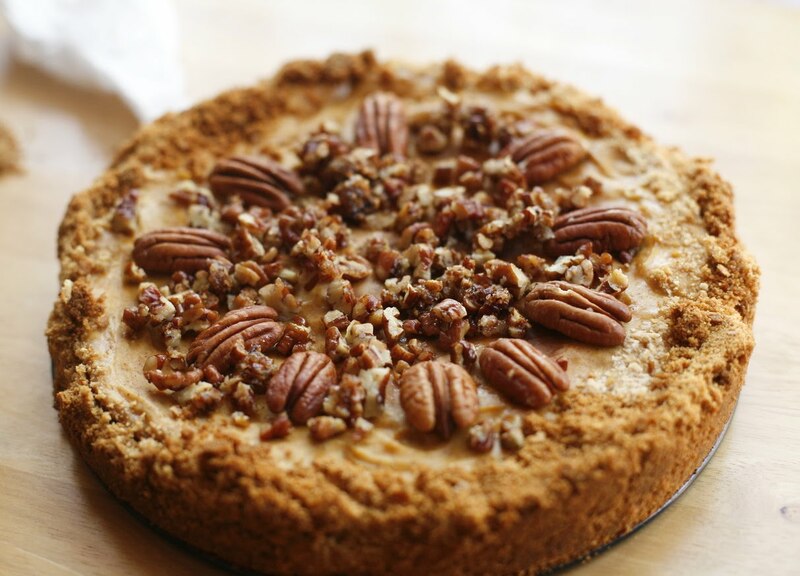 And this pumpkin cheesecake looks quite delectable. Did that comment go through?